Over the past few years, Marvel Studios have created their Cinematic Universe around the concept of Nick Fury's covert agency S.H.I.E.L.D. being the center of that world, which culminated this year in Captain America: The Winter Soldier and the hit ABC show "Marvel's Agents of S.H.I.E.L.D." Fans of the movies and show are finally getting a chance to be a part of an interactive Marvel experience with an amazing exhibit opening at Discovery Times Square in New York City next week. Marvel Studios has taken over the 10,000 square foot space for Marvel's Avengers S.T.AT.I.O.N. 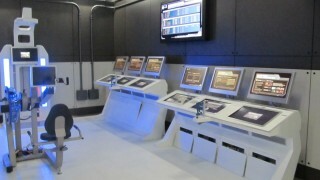 (Scientific Training and Tactical Intelligence Operative Network), an impressive combination of Marvel-style storytelling with real props and costumes from the Marvel Cinematic Universe, combined with an interactive experience where visitors can learn about the human body, the stars and even test their endurance and strength. After spending two years designing, developing and building the exhibit, using some of the team behind The Avengers, Victory Hill Exhibitions Vice President Mark Smith gave SuperHeroHype a private tour through the exhibit, which was still amidst construction just one day before the exhibit would open for previews to the public. (You can check out our full gallery of pictures taken a few days later in the slideshow below.) We also had a chance to sit down with Stan "The Man" Lee for a far too brief interview talking about how his characters are now being used for educational purposes and other aspects of the legacy of the characters he either created or co-created. Last week, the crew was still working long hours to get the exhibit up and running before its preview night and we could tell this was a hugely ambitious project that offers a lot more to those who visit than just costumes and props from the movie. 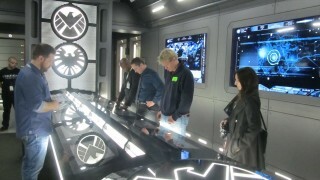 The interactive exhibit follows a storyline in which visitors to the exhibit are probationary S.H.I.E.L.D. recruits. As they arrive, they'll enter their information into a bank of S.T.A.T.I.O.N. security checkpoints after which they will be given a special card with their statistics that they can use at each exhibit to record the fact they have taken part in each aspect of their training. 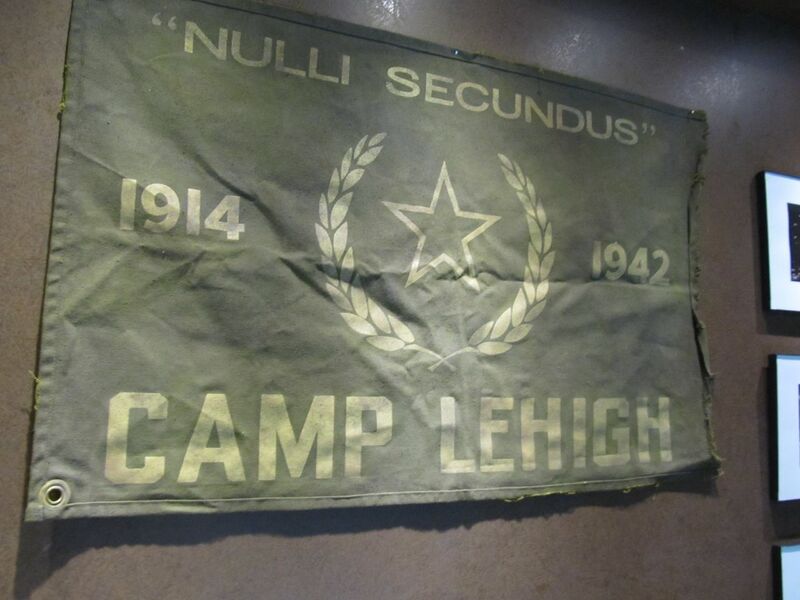 Once the recruits have gotten their cards, they'll be brought thirty at a time into a room lined from floor to ceiling with video walls where they're scanned by lasers for identification and then a video of Titus Welliver's agent Felix Blake is projected onto the screens to greet and inform them what to expect on their first day. From there, it's into the Induction Room that has four large monitors showing the country on its two opposing walls and a bank of monitors in the middle where recruits can learn more about the various Avengers. The recruits can then see actual costumes from Marvel's The Avengers including leather outfits worn by Scarlett Johansson and Jeremy Renner as Black Widow and Hawkeye, the classic Samuel L. Jackson's Nick Fury, a suit worn by Clark Gregg's Agent Phil Coulsen and Maria Hill's costume. S.T.A.T.I.O.N. 's "containment unit" includes all of the dangerous elements that have found their way into our world, including a hermetically-sealed Chitauri warrior and an alien gun and space sled captured by S.H.I.E.L.D. Loki's helmet and scepter can be seen as well as the Red Skull's costume and guns and costumes from HYDRA agents, as seen in Captain America: The First Avenger. From there, the exhibit is broken up into zones dedicated to the four primary Avengers: Captain America, Thor, The Hulk and Iron Man, although the tour group needs to go through in a certain order rather than being able to break up into smaller groups to go to separate rooms. Captain America's zone is all about strength, fitness and endurance with machines set up so that the recruits can see how strong and fit they are compared to the Star Spangled Avenger. There are a lot more props from the first movie including S.H.I.E.L.D. reports on some of the key players with injecting Captain America with the super serum, and the actual life pod from the movie is also on display. One can also see one of the actual Captain America costumes worn by Chris Evans in the movie along with one of his shields. 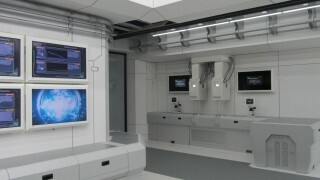 The next stop is Dr. Bruce Banner's laboratory where the recruits can get tested for gamma radiation, but it's hard to miss the 9-foot video wall displaying a massive interactive CG version of the Hulk that flexes and smashes against the wall and does his thunderclap on cue when the visitor puts their hand over a panel on the wall. The room also includes the actual Tesseract device from The Avengers that was used by Loki to open up a portal to the Chitauri invasion, and it's as big as it looks on screen, rather than something that was just created using CG. Putting your hand on an interactive monitor turns the Tesseract's flashing lights on, although it's missing the key Asgardian shard that could potentially open another portal into outer space. The centerpiece of the Iron Man zone, Tony Stark's lab, is an original suit of armor from the earlier movie with a large-scale arc reactor built into the floor right in front of it. It also contains specially-designed H.U.D. (heads up display) simulators that allow the visitor to experience what it's like to fly in Iron Man's suit. Although that's technically the last stop in the exhibit, we've been told they still have more stuff to add including a few possible surprises. The S.T.A.T.I.O.N. experience doesn't just end after you finish touring the exhibit because with your personal ID card, you'll be able to go onto a website in a few months and continue to interact with new storylines and information involving your favorite Marvel characters. They're even talking about having special Marvel events exclusively for those who visited the S.T.A.T.I.O.N. in New York City. Even the gift shop is impressive, because it's absolutely full of official Marvel merchandise from T-shirts to mugs to anything else the diehard Marvel fan might want after going through the exhibit. Victory Hill has the Marvel license for six years and once the exhibit leaves Times Square in January, they're looking at other locations where it can be set-up so that anyone who can't make it to Discovery Times Square might still have a chance to see it. What's interesting is that it almost exclusively covers Marvel Phase 1 at this point, so it will be interesting to see if they start adding stuff from the movies after The Avengers over the next couple years. Oh, and as promised, here's our brief interview with Stan Lee talking about the exhibit and other things Marvel. At 91, you just know that Stan Lee has probably been asked every single question possible sometime in his life, so he's good at giving quick snappy answers, but for anyone who loves Marvel, just being in his presence just makes you smile all over. 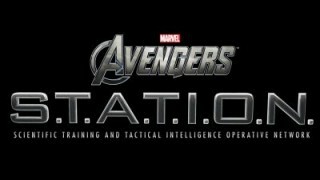 The Avengers S.T.A.T.I.O.N. Exhibit opens to the public on Monday, June 2, and will run through January 5, 2015. Tickets for adults are $27 while kids from 3 to 11 can get in for just $19.50. Make sure to save some money for that gift shop! to provide the best possible experience for all of our visitors.